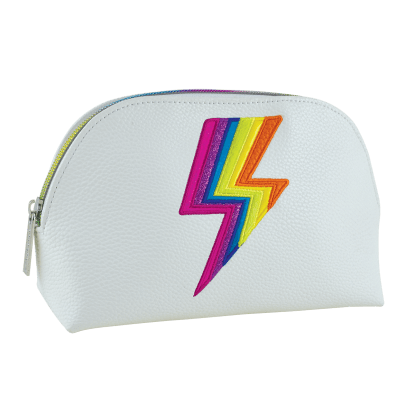 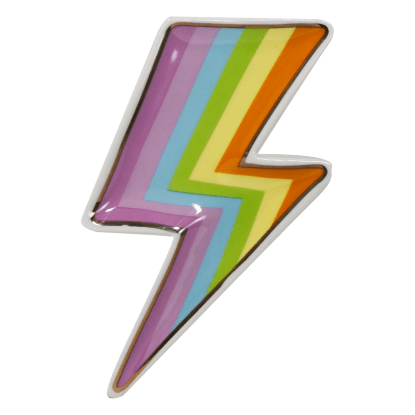 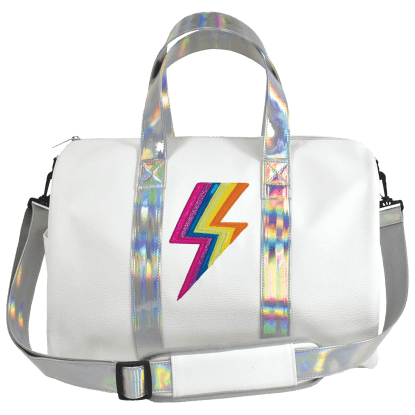 Rainbows + lightning bolts = fierce! 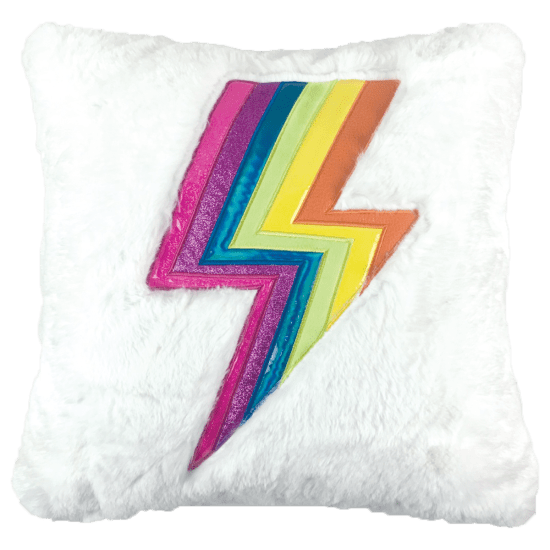 Our lightning furry pillow is no exception. 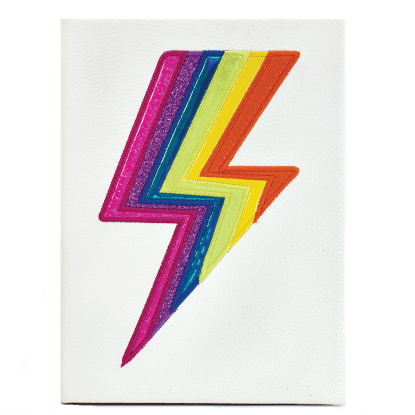 The soft, furry white pillow is embellished with a super cool rainbow-colored lightning bolt that adds the perfect bold pop of color to your room.